Plot: The events take place around the bottomless gulf, which reaches the very core of the Earth and hides unusual creatures and powerful relics in it. 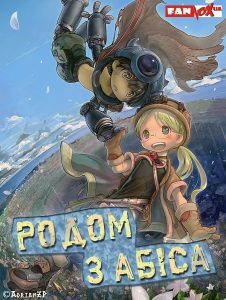 Riko, a brave girl together with Reg, a strange robotboy set off looking for Riko’s mother. Faithful companions, unexpected allies and unusual circumstances help these two desperate adventurers to overcome danger and discover extraordinary world. Will they be determined enough in order to reach the bottom of the abyss?